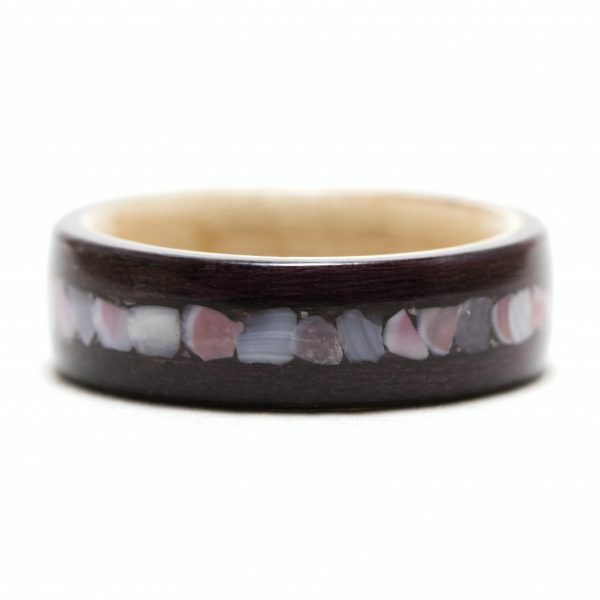 This purpleheart wood ring inner lined with maple wood features an inlay using apple blossom seashells. 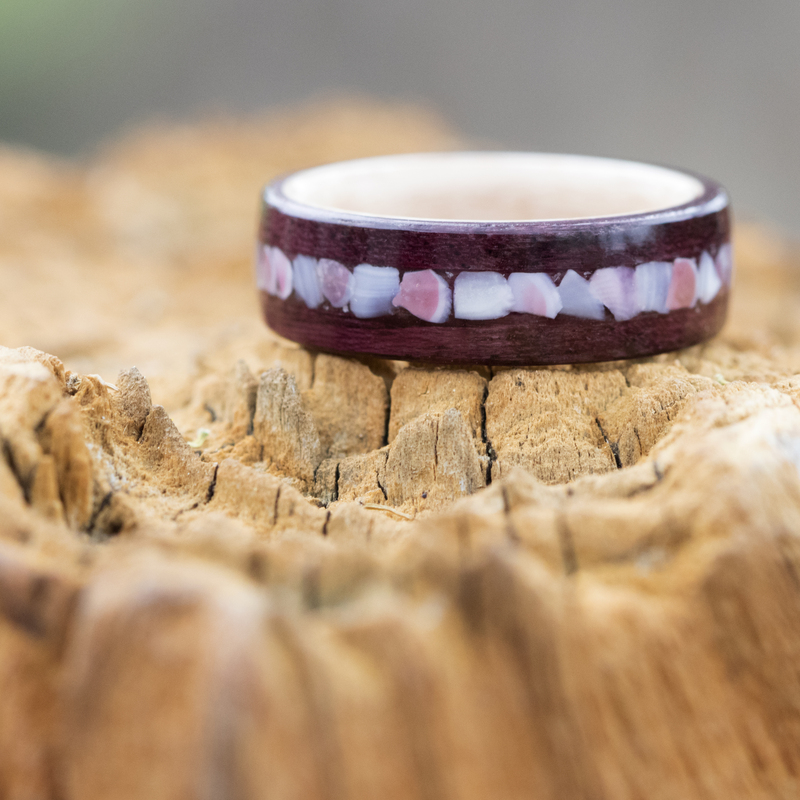 This purpleheart bentwood ring lined with maple and apple blossom shell inlay is made to order using your specific width and ring finger size. 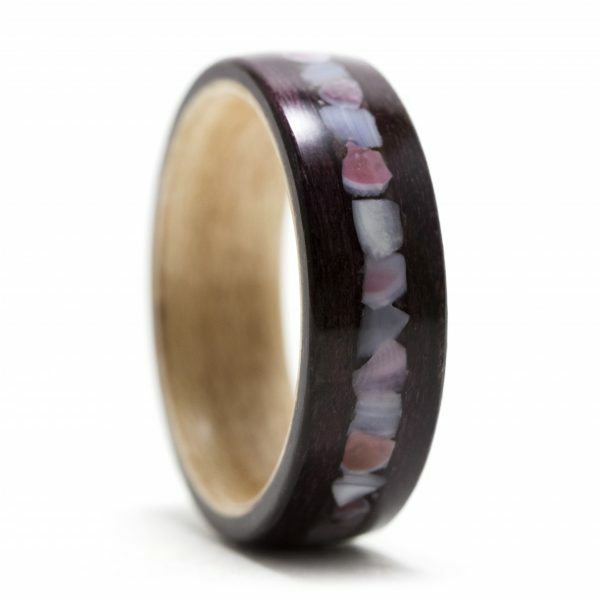 Extra durability and strength is provided by the many applied coatings of protective finish. 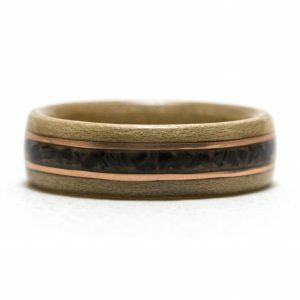 My rings are crafted to the exact ring finger size that is ordered or displayed on ready to ship ring orders. 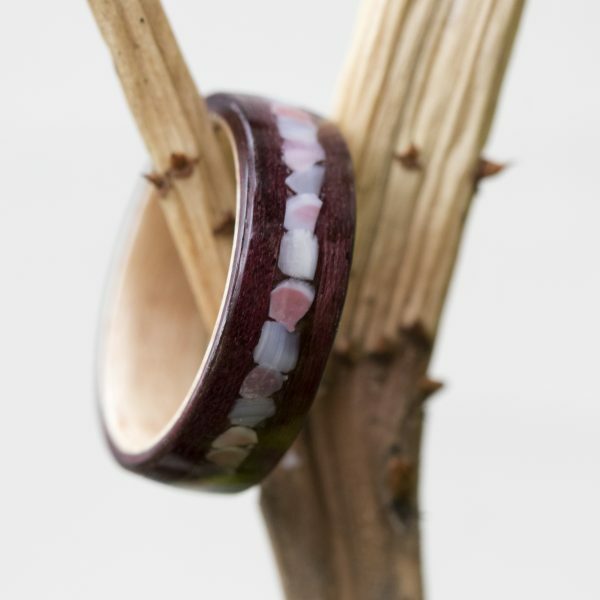 Therefore, please ensure that you have been sized correctly by a professional jeweler before placing your order. 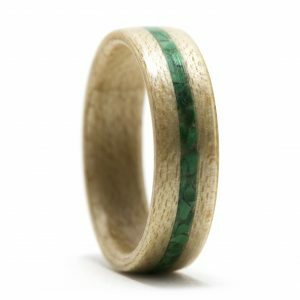 Most of my wood rings can be resized a half a size in either direction. 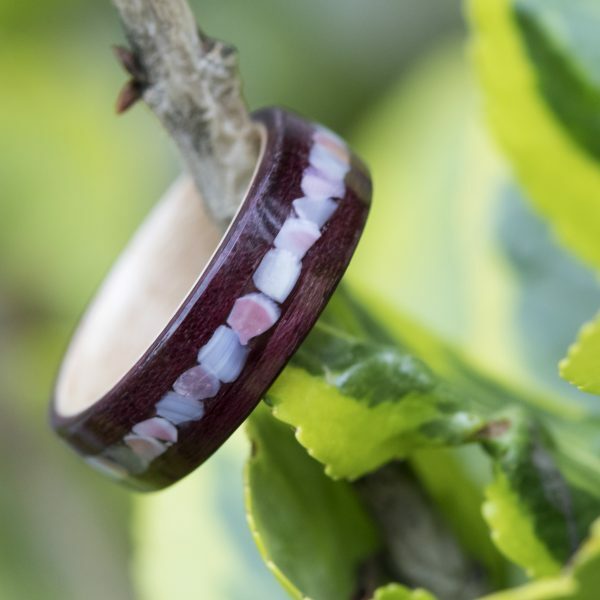 I offer a one-time free resizing, providing that the type of ring allows it. I just ask that you cover shipping costs both ways. Titanium, silver, and other metal lined rings cannot be resized. 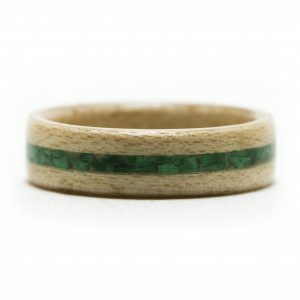 Please allow up to two weeks for your ring to be created and then shipped out. 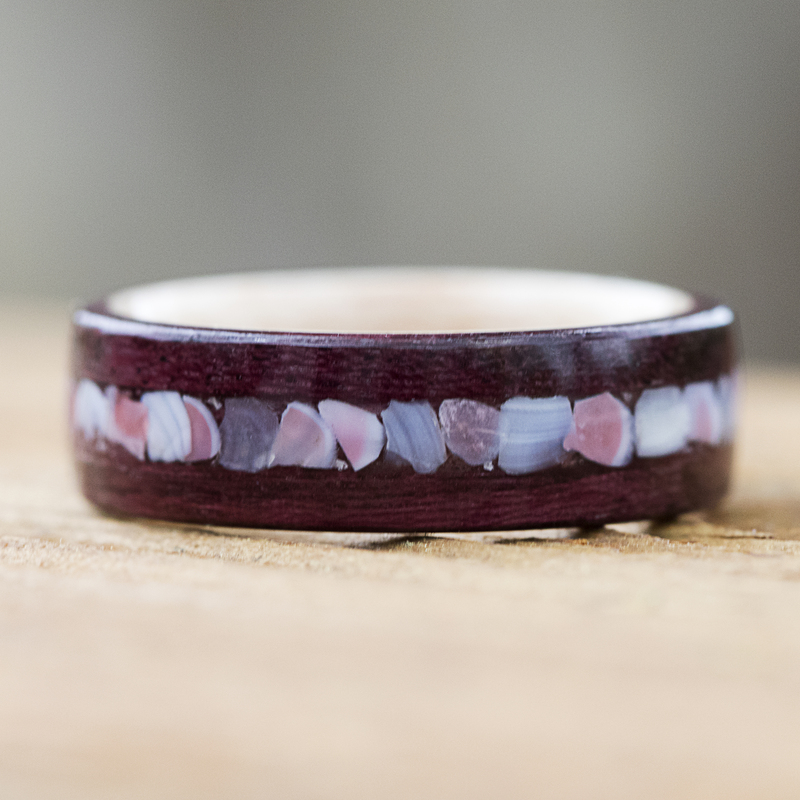 If I anticipate it taking longer, I will let you know. 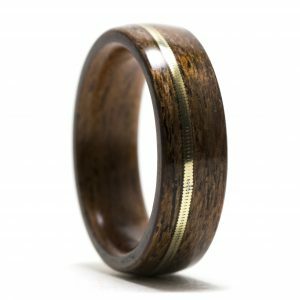 My wood rings are made to be durable and with the correct care, can last a lifetime. It is advised to take off your ring when lifting heavy items, long exposure to water (swimming/day at the beach), playing sports, weightlifting, handling materials (rocks/sandpaper/tools) that can cause damage and scratches, etc. 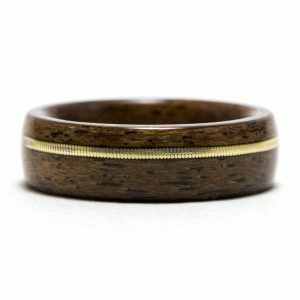 If you have a custom ring in mind and don't see a listing for it in my shop, please feel free to contact me with your ideas or try out my custom ring designer tool. If there is a certain inlay that you'd like to use, wood type, etc., let me know and I will see what I can do. 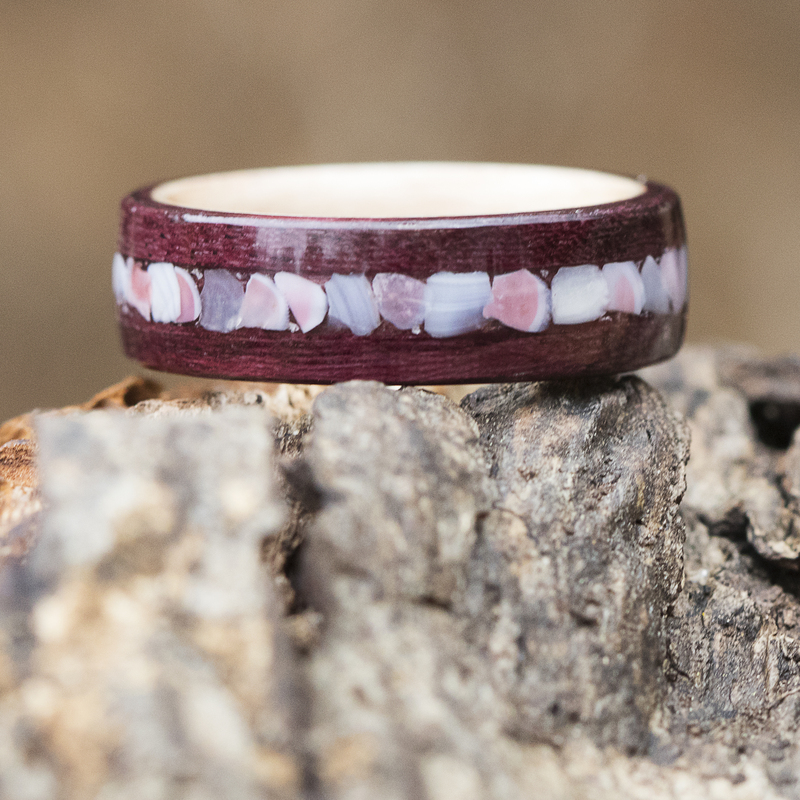 I'm always open to new ring ideas and love being creative!